We all love the scandinavian style, whether is the minimalist and clean approach, or the beautiful winter holidays designs that make us think of magic fairytales. 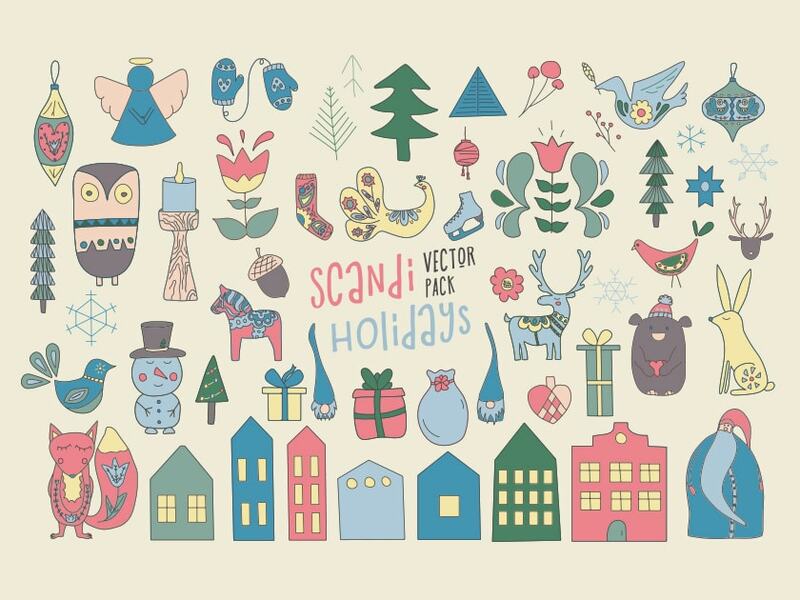 This is an amazing set of scandi holiday vectors. Big thank you to CreativeVeila for creating and sharing this freebie.